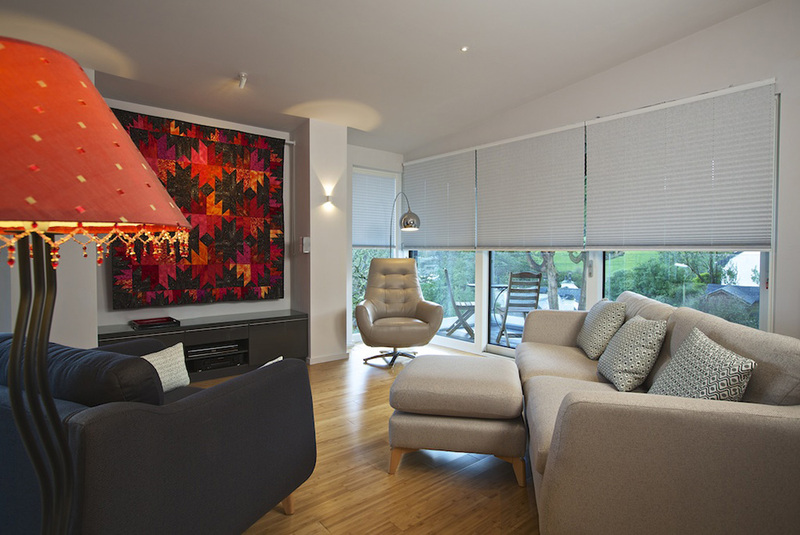 You will be spoilt for choice with Appeal’s range of blinds for windows and doors. With an extensive spectrum of over 400 inspirational fabrics, there is truly something to enhance every interior style. 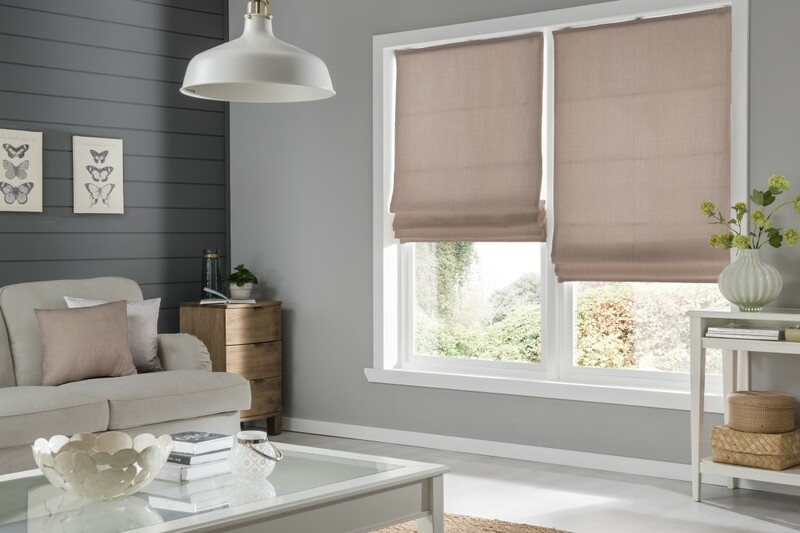 From bold patterns and textures, through to more neutral colours, the Appeal Designer Collection of Window Blinds offers you the latest designs to create exactly the look you want. 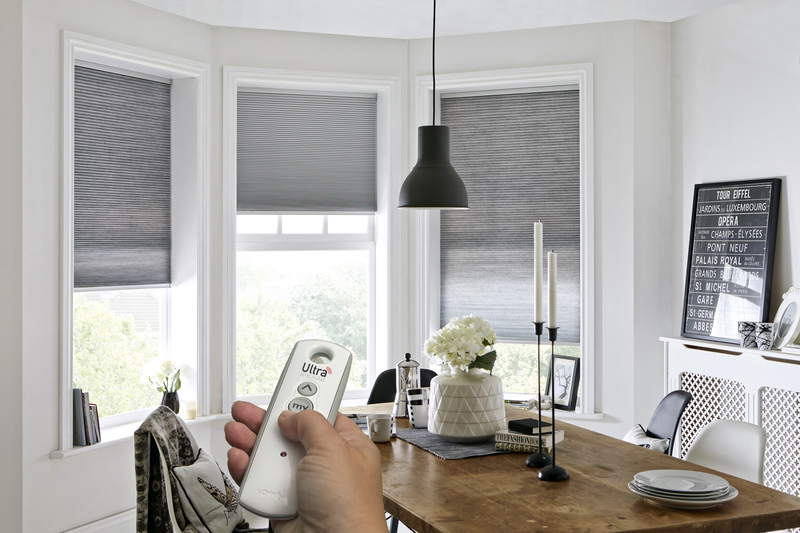 For optimum ease of use and performance, we recommend ULTRA Smart Blinds: the wire-free powered solution, allowing you to control your blinds at the click of a button. 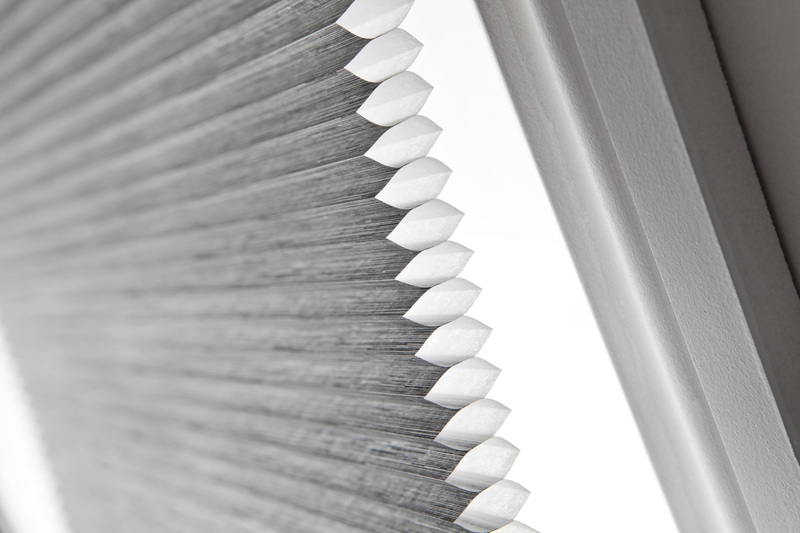 ULTRA is the latest innovation in powered window blinds for the contemporary, automated home (manual operating systems are also available). Appeal Home Shading’s award-winning ULTRA® powered blinds’ system is now available with ULTRA® PLUS for your smartphone or tablet. 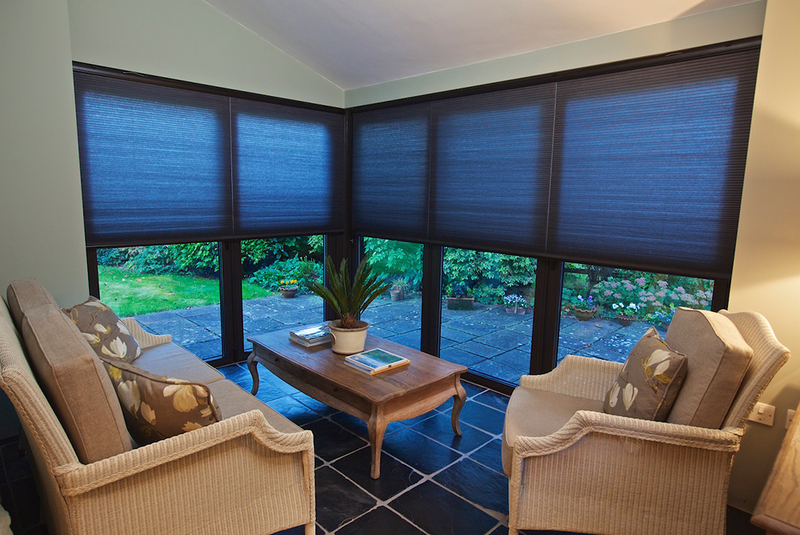 So shading management is not only at your fingertips when you’re home, but when you’re out and about – including abroad. Click here for details. 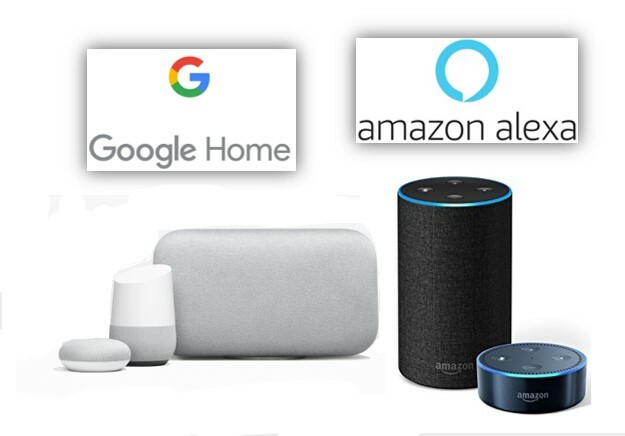 For ultimate convenience, you can now use simple voice commands to control your ULTRA Smart Blinds with Amazon Alexa and Google Home. Click here for details. House Beautiful magazine chose ULTRA Smart Blinds as the silver award winners in its 2016 Best High Tech Product category, for more details click here. 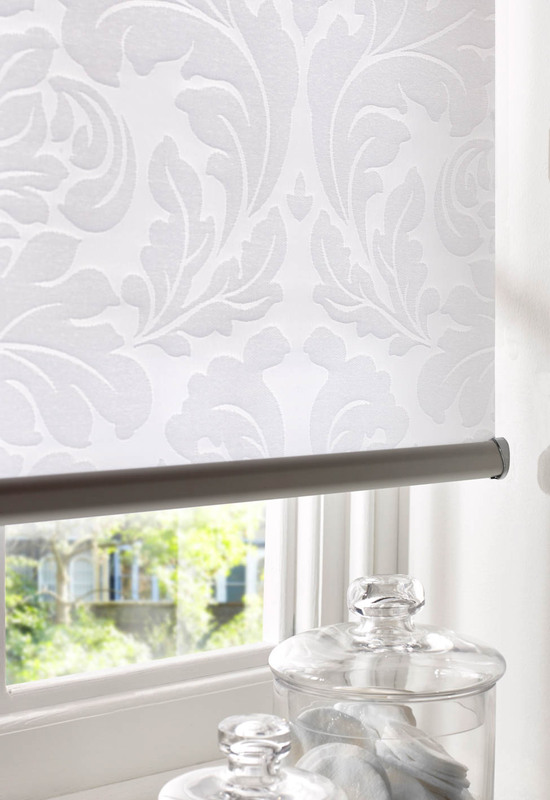 Watch our video to see just how quick, easy and convenient ULTRA blinds are to use. 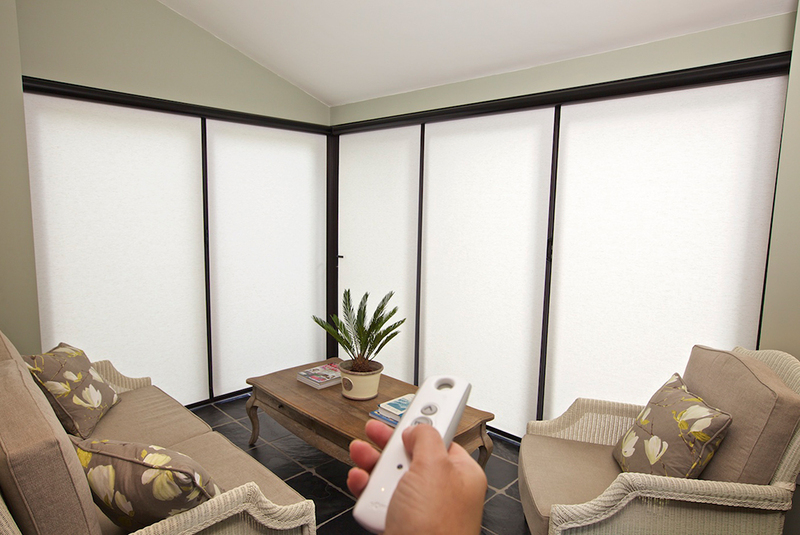 In today’s hi-tech home, so many of our domestic comforts are automated, remote-controlled and customised to our lifestyle: audio-visual entertainment centres, climate control, security… The same is increasingly true of window shading, and Appeal’s ULTRA Smart Blinds offer you state-of-the-art home tech at a surprisingly reasonable price, as well as control at the touch of a button. 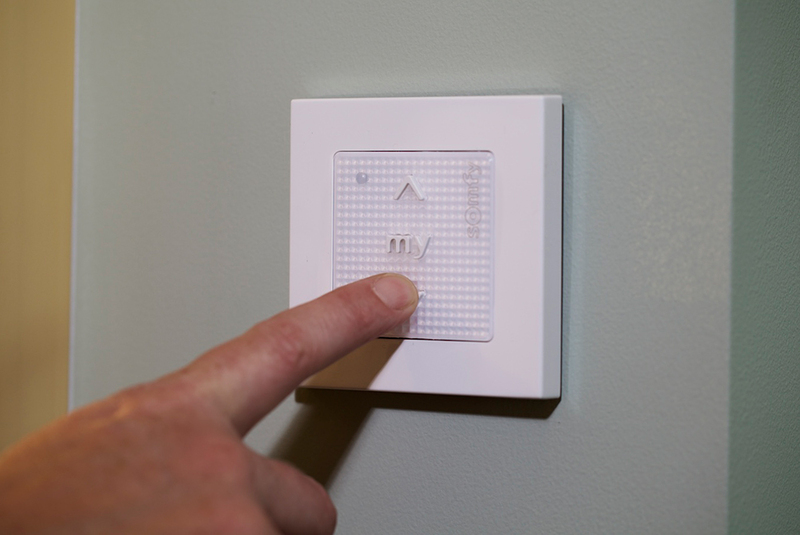 This affordable home-automation essential requires no access to mains electricity, so there is no need to install plastic trunking to hide wires. Instead, the headrail discreetly incorporates a quiet motor and a slim powerpack which gives 12 months’ use (under normal operating conditions) before simply being recharged like a mobile phone battery. Learn more about the benefits of rechargeable batteries here. Alternatively, you can opt for an unobtrusive solar panel to harness the natural energy of the sun and continuously charge the powerpack. ULTRA Smart Blinds have no hanging cords or chains to spoil the clean lines of your window – not to mention endanger children. Timer – Allow sunlight into your home in the morning without getting out of bed, and lower the blinds at sunset, even when you’re not home. 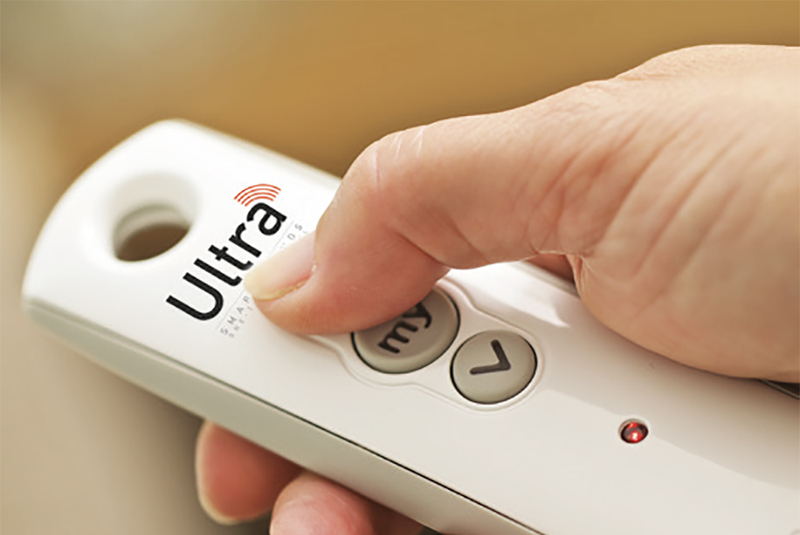 Contributes to temperature-control and insulation, as well as acting as a security measure when you’re away. 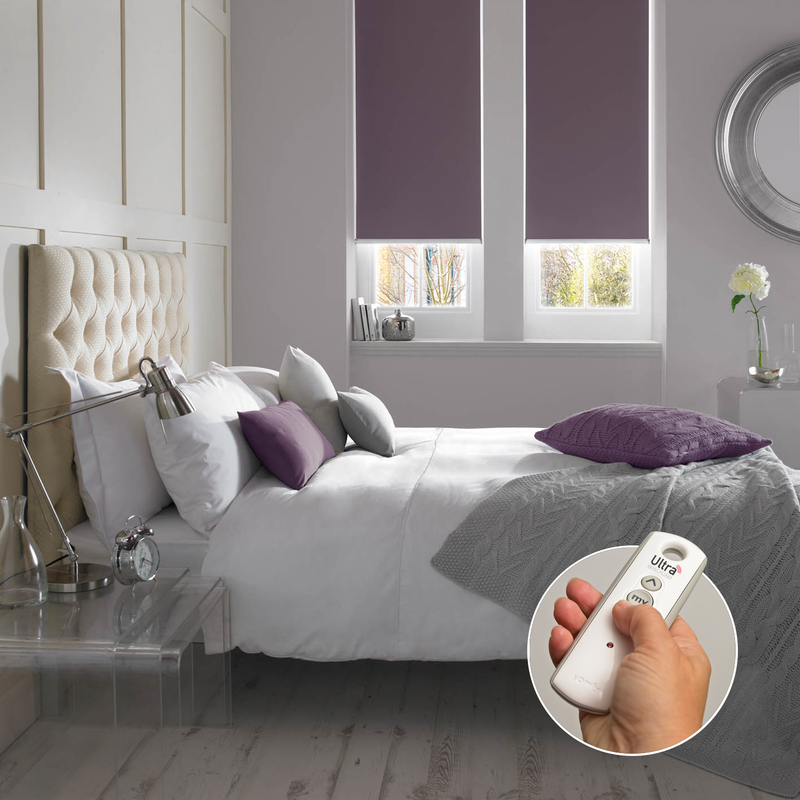 Temperature sensor – automatically lowers the shades when rooms overheat. Light sensor – a small sensor mounted on the window triggers the blinds, protecting furnishings, artworks, plants etc from the damaging effects of direct sunlight. 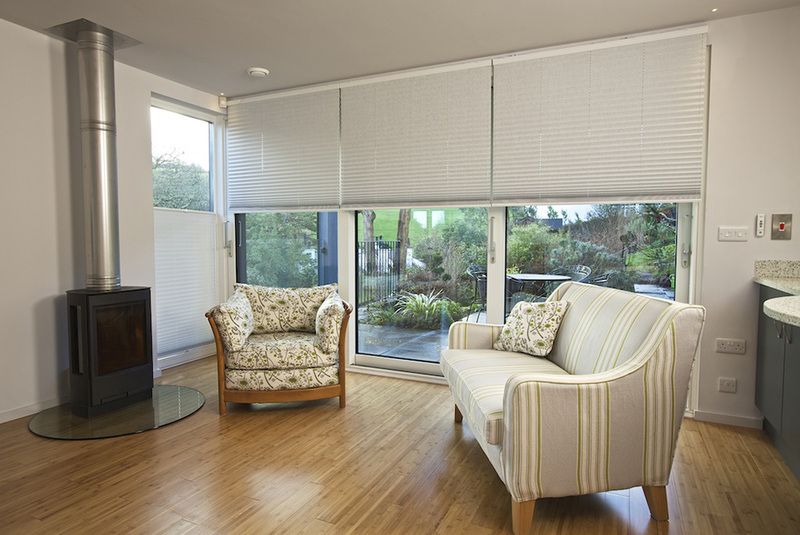 By choosing ULTRA Smart Blinds, you benefit from the specialist home shading service offered by Appeal. As the thousands of customers we have served over 30 years will confirm, our products and standards are second to none — from the superior materials we choose, to the exceptional customer service we provide throughout. 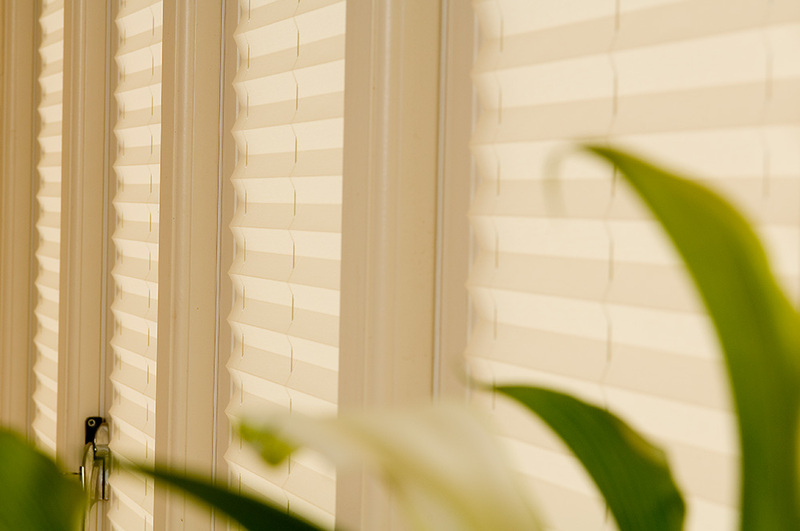 View the full collection of window blinds in the comfort of your own home and receive expert advice from our trained Design Consultants to help you decide on the style and configuration that suits your décor and the layout of your windows. Appointments are booked at your convenience – day, evening or weekend. 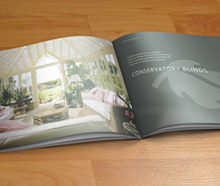 Then, following a FREE measuring service, your window blinds will be crafted exactly to your individual specifications. 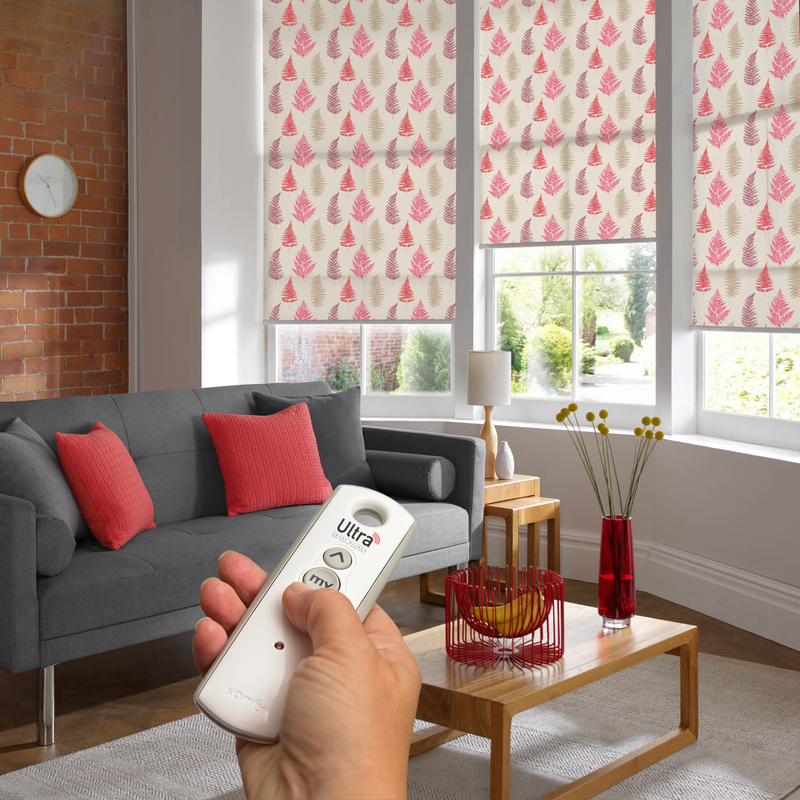 Once final quality checks have been completed, we will fit your blinds FREE of charge – including installing the ULTRA system and programming your controls to your requirements. 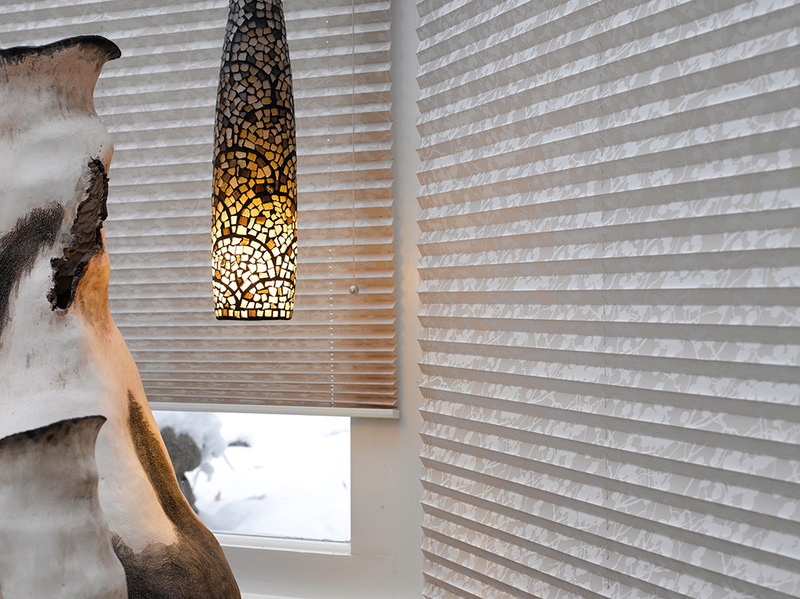 There is a surprisingly wide variety of blinds available with ULTRA wire-free technology. 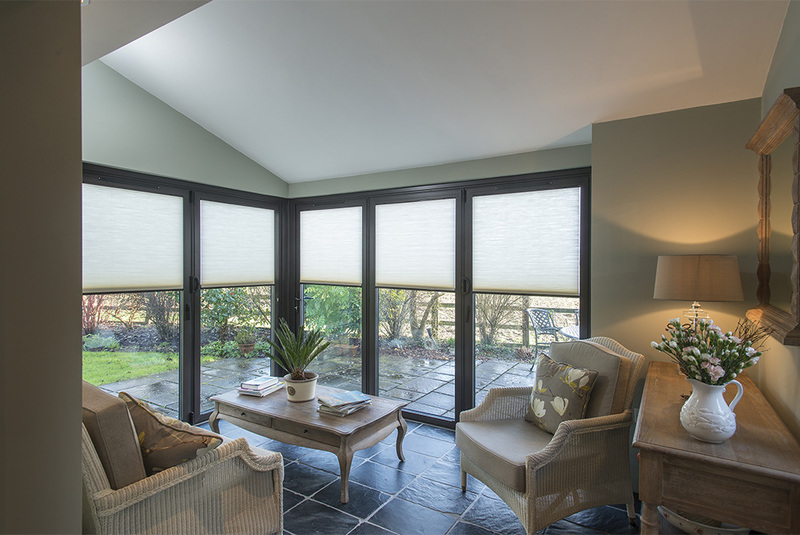 Appeal provides specialist shading for any circumstance, be it bi-fold or French doors, lantern roofs or gable ends – with individual blinds tailored to the specific size and shape of your windows. 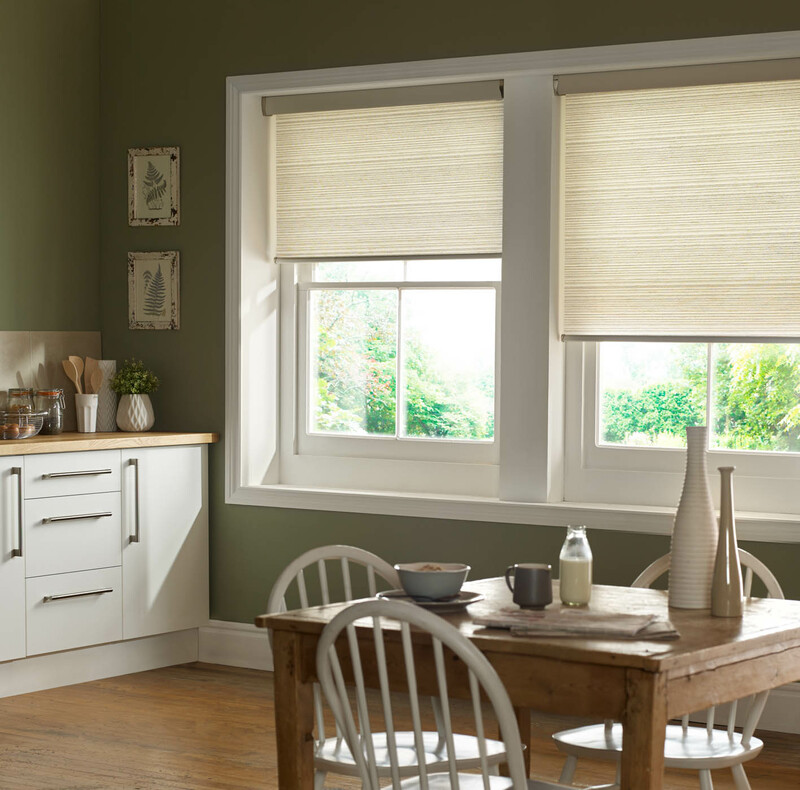 See below for the styles of blinds available in the ULTRA range. And choose from over 400 impressively diverse colours and textures, using the highest-quality materials and innovative fabrics that offer benefits such as translucence, blackout or Honeycomb Energy Saving.